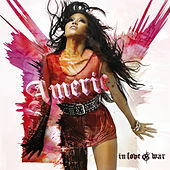 A fast-rising R&B star from Washington, D.C., Amerie scored a huge hit with her first single, "Why Don't We Fall In Love," featuring multi-platinum ATL rapper Ludacris. 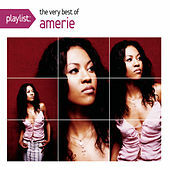 Backed by instantly likeable production from Rich Harrison (who's also worked extensively with Mary J. Blige), Amerie's debut album, All I Have, came out in the summer of 2002 and remained on the Billboard charts for several weeks. With her exceptional voice and the looks of a model, Amerie promises to be a major force in the notoriously competitive female R&B scene. In 2005 she returned with another impressive single (the rambunctious, drum-heavy "1 Thing") and released her second solo LP, Touch.